Yiddish Summer Caravan Orchestra to Haifa! Boston Jewish Music Festival kicks off—tonight, Yemen Blues! If you get excited by the diversity of Jewish music, than the arrival of the Boston Jewish Music Festival at the tail end of a long, cold winter, is the surest harbinger of spring. There is an amazing label in Israel, Auris Media, putting out delicious, noisy, mashed-up fusion music. I got my latest fix this week, so let me give you all a quick rundown as I get ready to spend more time listening. I'll also put up links as to how to get these—the Auris Media website is the latest of my favorite vendors to suffer misfortune. In their case, most of the most recent CDs are not listed (or order-able online), although there is an active concert listing for those in Israel. I should also mention that if you purchase physical media, you are getting beautiful packages. This label is a labor of love. For those of us who treasure non-commercial music, Auris Media is a treasure. Long-time readers of this site will be familiar with "Kruzenshtern and Parohod," a punk/avant-garde-ish band from Tel Aviv. More on them, anon. Most important at the moment is that they have completed two recent EP recordings with fellow-travelers, Vialka, from France. The combined band is know as the "KiV Orchestra." I love it! Each of these recordings contains only five songs. It's as if the US punk-klezmer-balkan band, Golem moved even more extreme (and lost the klezmer), or if soulmates "Painted Bird" likewise amped up the noise and added French and Russian. Heck. "After Hostilities Ended" from Extension could have come from Daniel Kahn if they'd only sung it in Yiddish! KiV is a noise circus coupled with the amazing vocals of Marylise Frecheville. From the press release: "… a twisted version of Berlin 1920s cabaret into broken tango chansons, outsider's music from the Balkan and traditional Russian prisoner's songs. All these different styles and flavors mixed together with tons of black humor and a tough punk attitude." Get your recordings on iTunes, or from the Vialka website: www.vialka.com. Whatever hyperbole follows about other recordings? It may be true, but this is what has captured my listening time since its arrival. Extra kudos for "This is Not Tradition" on the LaRoue EP. You can also get most of the contents of the two EPs on a new release on LP/MP3: Whole. Igor Krutogolov and his fellow Tel Aviv-niks have been busy. I captured a short set of theirs a couple years ago on the KlezmerShack channel on YouTube which contains some material ("Koshka") from the most recent release, Hidden Album. The band (the origins of whose name resides in Russian irony; no duo, no Kruzenshtern, no Parohod) is now up to four members since the addition of accordionist Boris Martinovsky, the "Michael McLaughlin of the Israeli avant garde." What they haven't lost is intensity. Going back a bit further to what is new to me is Noize 2005. With one song arranged by John Zorn, and that aforementioned intensity (and even without Martinovsky's accordion) the band reminds me a lot of my local Boston homies, Naftule's Dream, with an eclectic avant garde, anarchic-sounding intricately-arranged set of boundary-pushing punk-inflected soundscapes. That may be the longest string of compound adjectives I've used in a while. This isn't simple music (nor music for simple people ;-)). But unlike a lot of such music, these guys have their instruments attuned to something special. I may be listening to KiV Orchestra more, this week, because it is entirely new, but these two CDs will stay out with their brothers for a long while. Get your copies directly from iTunes, or from band camp. Russian rapper/singer Psoy Korolenko is a treasure. In his second outing with Israel's premier klezmer band, Oy Division, Psoy Division / Dicunt he spreads anarchy and good feelings far and wide. It is easy to imagine, in fact, a delightful concert featuring this lineup and the earlier-reviewed KiV Orchestra. I'd go a long way to hear them all live. This is a reasonable place to listen in the meantime. As on his earlier recording with Daniel Kahn (just a few sentences from now), Psoy is mashing up Russian, Yiddish, Hebrew, klezmer, and rap, all to wondrous effect. There is even an excellent cover of Daniel Kahn's recent "Love Lays Low." But, here he is messing more directly with traditional folk traditions, ranging from Russian to Hasidic. I have attitude. I love it when really good musicians mess with things. For those who need their "messing" more political, I've had Daniel Kahn, Psoy Korolenko, Oy Division / The Unternationale in the "listening, must review soon" pile for a couple of years, but haven't gotten a mention online. More shame, me. From the echoes of "Sympathy for the Devil" on the opening "Rakhmones afn tayvl" in Russian and Yiddish with its brilliant klezmer sound, this recording is delightful. The irony of sitting in Jerusalem and refighting the battles between the Zionists and Bundists (exemplified by a cover of the 1931 Beregovski recording, "Oy, ir narishe tsienistn"), plus the usual counterspin on life, politics make this a recording that is not just fun to hear, but fun to listen to closely Psoy's anti-cleric rap in the middle of the traditional Russian "Ekh Lyuli Lyuli" is worth the price of admission all on its own. If you have stuck it out this far, you must be wondering if the KlezmerShack is ever going to review, say, klezmer again. Is there something on my review pile that is just plain pleasant to listen to, but also worth listening to? So, I'll conclude today's mini-reviews with a mention of Le Freylekh Trio / featuring Goulash System". As Tim put it in his most recent nudge, "One of the coolest bands in Paris. Klezmer-Gypsy-Balkan-African... The sounds of Menilmontant and La Goutte D'Or!" Easy for him to say. He's featured on this recording. If you like Django Reinhardt and jazz that swings, if you like Gypsy and klezmer music, if you just like great guitar and playing, plus wonderful vocals, then this is the recording to listen to. On this recording, the basic guitar-fiddle-bass are joined by a host of others. You can check out the recording on soundcloud. Okay, now I have mentioned Tim Sparks, the amazing guitarist who, among other accomplishments (more in a minute) has released several tuneful and entirely un-avantgarde Jewish music recordings on Tzadik. Listening/watching him play is one of those special pleasures. There is a warmth to his playing (and an amazing speed to his fingers) that always blows me away and makes me feel good inside. On this 2009 release, Time Sparks / Little Princess, Tim channels crazy man Naftule Brandwein. In Tim's fingers, Brandwein's emotionally complex clarinet solos become instrumentally complex guitar heaven. Ben Bresky interviewed Tim about the album back in 2009 if you want to know more. But me, I'd just get the recording. Right. I have it. Now I've told you about it and you can do the same ;-). As well as he plays klezmer and other Jewish music, Sparks is better known for covering early 20th century blues and jazz. As he describes in the liner notes to Tim Sparks / Sidewalk Blues, 2009, the early 20th century is when "American Roots music crystallized and was transformed by the effects of recording and radio.…" This is actually the music I loved before I encountered klezmer (and Stockhausen—but that's another story), and this recording is spankin' great. You can get your copy right off his website, along with his guitar transcriptions, books, and instructional DVDs. 3 Leg Torso / Animals & Cannibals is a delight through and through. As was true on previous recordings (and especially 2003's Astor in Paris), the band starts out from the tango, but I think it is probably truer to describe them as a chamber music group that starts with great (mostly) dance music (including, on this recording, the whimsical "According to Chagall" plus an intriguingly fun "Frailach #1) and explores. For me, this is great listening music, great music for sharing, and surprisingly great music for working. Like the Tim Sparks recordings that reminded me that this is on the "review me now, dammit" pile, there is a warmth and rhythm to the ensemble that makes it easy to focus when I really need to focus, and a freedom from "thumpa thumpa" that lets me smile when I come up for air. As has been true for everything I've written about this afternoon, this is music that I love. But especially in keeping with with the Freylekh Trio, Tim Sparks recordings, and here, this is music that is gentle, tuneful, and compellingly intricate. You're a click or two away from your own mp3 copy from the band's website (physical CD available from amazon.com, cdbaby.com, and fine purveyors everywhere). Enjoy. Well, some of the piles are a bit shorter now. Thank you for giving me the excuse to spend the afternoon listening to some of my new, and older favorites, all of which needed to be shared. Musiqa mizrahit, aka Israeli Mediterranean Music, is a category of popular music mostly known for its strong Middle Eastern and Greek tinges. It has been at the center of Israeli public discourse on popular music since the late 1970s. By 2010, the leading theme of this discourse is the "triumph" of the genre in the field of Israeli popular music. With prominent performers such as Sarit Hadad, Eyal Golan, Kobi Peretz, Moshe Peretz, Shlomi Shabat, Lior Narkis and others filling up the largest music venues in Israel, leading the sale charts and ruling the radio airwaves, Israeli Mediterranean Music is by 2010 the "mainstream" of Israeli popular music. To clarify the issue of the English translation of the text in "The Real Arab Book:"
The addendum, which is a discussion of the scales of the maqamat, which has partly Hebrew titles and again extremely short Hebrew descriptions/definitions. 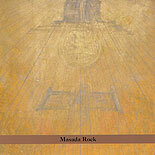 In the body of the book, all titles and the names of composers are given in English as well. Quickly going over the texts, I see that I could, with the author's permission, translate the introduction and insert the page. Providing a translation of the section on the scales of the maqamat is problematic. First of all, I would need to receive the original music files from the authors and insert the texts. Secondly, I am not sure how useful this section is, or (more importantly) how accurate. The authors have chosen to list the scales for the maqamat, but the scales are not the maqamat. Also, some of the divisions into families of scales that they have made may not be the most accurate. We are working very hard to be able to issue our English translation of David Muallem's "The Scale and Maqam in the Arabic Musical Tradition," and there you will find a much more detailed and accurate description of the scales and the maqamat that are based on the scales, along with a demonstration CD played on kanun. This book should be ready in several months. I think that we should see "The Real Arab Book" as a collection of melodies and songs, and leave the business of explaining the maqamat to those who do it better. Binyomin Ginzberg spotted this one:. I found an interesting book series during my recent visit to Israel and thought this might well be of interest to list members. 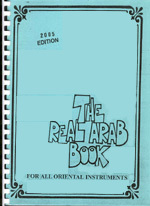 It's a series of books called "The Real Arab Book—For All Oriental Instruments", and it is modeled on the classic jazz "Real Book." There are two volumes that I'm aware of. I've found a link to an Israeli music bookstore carrying these (Safir music store on Rehov Ben Yehudah). I picked them up locally. Here are links to Book 1 and Book 2. The version I bought is a revised 2006 version. In addition to the sheet music, the books also have brief explanatory sections in Hebrew on Arabic song form, the various scales/modes used, etc. The song titles are written in Hebrew and English (and often Arabic too). The index is in Hebrew and English. I linked to the Music Bookshop website because they have scans of the index available for viewing. You can find it by clicking on the link "לחץ לצפיה בתוכן העניינים" to the left of the cover image on that site. They don't appear to have an English version of their site. I haven't had a chance to play through these yet, but on quick perusal, I see that includes some specifically Jewish songs like Tzur Mishelo (aka Los Bilibicos), and Yehallel Niv Sefatenu, among others. I entirely overlooked this set of even newer reviews by George Robinson featuring new Israeli music, ranging from Yeminite Diwan to modern Jazz. Take a gander at A 60th Sampler, June 29, 2008, again, from the Jewish Week by the esteemed musicator. For the curious, the featured CD, “With Songs They Respond: The Diwan of the Jews from Central Yemen”, is available from our friends at Hatikvah Music International. E-mail Simon@Hatikvah right away and enjoy! The original concept was to introduce to the world a man we believed was lost to history. From childhood on, we all sang and danced to the song “Eretz Zavat Chalav u’Dvash”, but like most, we believed the song was one passed down from generation to generation, a traditional song written eons ago, another song of the collective Jewish experience. But through a chance encounter a few years back, we learned that the composer, Eliahu Gamliel (now in his 80’s), was indeed alive and still teaching dance and music in Israel. For more, check out the website for the documentary. Ever since their oddball hit, the "Sticker Song," an amalgamation of Israeli bumper sticker slogans penned by the brilliant novelist and journalist David Grossman, I have been curious about הדג נחש. I got a CD and it sounded like pretty mainstream hip-hop pop, but what do I know? So, when I heard that they were coming to Brandeis, I wasted no time in getting tickets. Sad to say, this concert was a reminder that I am no longer 15 (the age of a friend's son who loves the band), nor am I part of the crowd of Brandeis students that could enjoy the music simply because it has a beat and is in Hebrew. The evening began with an opening band, Nanuchka (sp?) from Brooklyn. Not a terrible band. Excellent stage presence. Then, after a very short 10-minute stage change, the main band appeared. They feature an okay horn section. Well, one trombone and one sax. The trombonik was okay. The sax wasn't bad. The beat was pretty reasonable. The acoustics in the hall were such that anyone who hadn't already memorized the lyrics was out of luck. The voices sounded reasonably good. But after an incredibly repetitive refrain on the first song of מה שבא בא, and an incredibly repetitive refrain on the second song that seemed to be "oh yeah, oh yeah," I began to sense a certain sameness. Somewhere in there the band did a wonderful spoof on California surf bands as transmogrified by Israeli hip hop sounds, but even that eventually went on for too long. Then, the bass player, not one of the more capable members of the band, did an exceptionally long, wankerish solo. Then the band kicked up the volume and Judy and I realized that we had enjoyed as much as we were going to enjoy. This was not a bad concert by any means. It just wasn't a good enough concert for people of my advanced age. It's not new to me any more, and it wasn't a special social event for us. I think I've heard enough. I wanna hear the really exciting edgy Israeli bands like Boom Pam or Kruzenshtern & Parohod. Maybe we'll get a chance in April when we hit the oft-promised land. But I think I've gotten enough of this one for now. Thanks to Andy Tannenbaum for correcting my spelling of the band's name and pointing out that it is a pun on the near-ubiquitous notices on Israeli buses for נהג חדש. Not so clever a pun as Tipex (now spelled "teapacks" in english after the Israeli makers of "white-out" objected, which obscures the original idea of the band represented people who had been "whited out" from the national discourse), but a pun, nonetheless. Check out Wikipedia for more info. I fell for this song when I first heard it in the movie "Bikur Ha-Tizmoret" with a group of Israeli friends. It must be something of a classic, because all the Israelis instantly recognized it and hummed along. "Bikur Ha-Tizmoret" is highly recommended, BTW. There is some excellent acting, and a warm, understated humour. Here in the States, wedding bands get a bad rap. The term is a surefire punch line and cultural shorthand for “cheesy,” conjuring up images of tuxedoed mediocrity, canned schmaltz and Adam Sandler. But Israeli surf-rockers Boom Pam are proud to wear their schmaltz on their sleeves, taking their name from a 1969 pop hit that’s become a perennial favorite at Israeli weddings—and recording a version of their own that went straight to the top of their homeland’s charts last year…. Hot of the presses, this exciting deluxe 2 CD set including a hard cover booklet of over 200 pages—110 pages in English and over 109 pages in Hebrew—including lyrics to all the selections. The booklet give a detailed history of the Diwan and the origins of each of the selections. 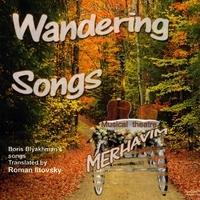 The Songs in this set fall into 2 categories, "Sabbath Songs", and "Songs for All Occasions" (Celebrations) and are based on the works of the great poets: Shelomo Ibn Gabirol, Yehudah Halevi, Shalom Shabazi, Yosef Ben Israel, and others. The recordings on these CDs were made between 1977 and 1979 sung by The Kiryat Ono Ensemble including such renown Yemenite artist as Aharom Amram, Zado Zubeiri, Zekhariah Yitshak, Yehuda Cohen and many more. Teapacks - the controversial "Push the Button" song, and "salaam salami," too! This is the song Eurovision is having issues with? Give me a break! But, if the truth be told, I agree with my old friend Michal Ayalon—"Salam Salami" is much more fun! Who needs reunion concerts by Poogy reruns when Tipex is writing new satire. (Okay, neither of these is the band at its most profound. There must be a place for peaceful frivolity. And remember, Katz's Deli in NYC still has a sign in its window (still current, unfortunately, but for the fact that your child in the armed forces might be either gender today): "Send a salami to your boy in the army". I got this from Judith Pinnolis' Jewish Music WebCenter blog. Who knew! James Loeffler, of the Jewish Music Forum, and currently an assistant Professor of Jewish History at the University of Virginia has researched the origins of 'Hava Nagila' and written a lovely article for myjewishlearning. It started with a new Rough Guide release, this time, the Rough Guide to the music of Israel. It is really good. I don't mention it very often, but I first began writing about Jewish music as a reviewer for the Jerusalem Post back in the late 1970s. By then I had spent years doing community theatre and hanging out with musicians in Israel. I didn't write for the Post long—it was difficult to focus on a gig writing for a newspaper that I shunned reading—but I have never lost my love for Israeli music and its diversity. This recording captures a good slice of that diversity, as updated and compiled just a couple of months ago. There is also an interview with the compiler on the CD, playable on a computer via webbrowser. Although a Jewish lad growing up in a Zionist home, the compiler seems ignorant of most details of modern Jewish history. But he has enough generalities generally right that this, too, forms a good introduction to Israeli music, overall. Those who let their ears get them into trouble will dig more deeply. The problem was that I got so wrapped up in the first CD, that I had to spend time with that Idan Raichel CD that I've been meaning to write about for years: 2002's Idan Raichel Project. I find this the most mind-blowing Israeli CD in years. In some ways, it reminds of of Ofra Haza's early work, an explosion of traditional sounds transformed for this time and place. It also reminds me of my favorite Israeli band of the '90s, the Ethnix. But it's also it's own original sound, building on Israeli and world music, with everything from reggae to hip hop, inflected by Raichel's Ethiopian roots. Wonderful. By now I was in trouble, so I also polished off a review of the relatively recent release of the final album by Israeli jazz masters, The Platina: Platina / Girl with the Flaxen Hair. Released back in 2003 as part of tributes to bandleader Roman Kunsman who had just passed away, this is material that was original recording in 1976 and then lost. The studio mangled most of the original tapes, then the band broke up. And we all moved on, remembering the concerts and the transformed Debussey of the title track. I have tried to begin to describe how good it sounds, even now, 30 years later. This is a must-have CD for anyone remotely interested in jazz or jazz-rock or Debussey. There is something about Philadelphia Jews. I've said this before, but with the release of Klingon Klezmer / Blue Suede Jews, it bears repeating. This is, after all, the home of Benny and the Vilda Chayas. But it's also Hankus Netsky's home turf. It's the city that gave us not only Anthony Coleman, but also nth generation straight-ahead klezmorim like Rachel Lemish and Susan Watts. This latest excursion by the Klingons is a delightful, zany, and damn fine exploriation of the psychedelic side of klezmer. The 10th Anniversary of the first Masada material has prompted a wonderful re-examination of that work by a wide variety of artists. I confess to being among the few who find Zorn's Masada okay, but don't have a great need to own each volume. On the other hand, listening to Jon Madof and his noisemakers, er, Rashanim, transform some of the material is entirely different. 2005's Rashanim / Masada Rock, Vol. 5 is going to be part of your essential Masada collection. Ladies and gentlemen, for another take on the extraordinary John Zorn/Masada material, may I offer you the totally flipped, amazing Koby Israelite / Orobas: Book of Angels Vol. 4, 2006. And, finally, in a nod to everything that I didn't have time to listen to today, all of which is at least htis good, I offer one last fusion, the world music band Asefa, house band to Sam Thomas' Brooklyn-based "Jewish Awareness through Music" organization. Samuel Thomas / Asefa, 2005. Same bass-player, incidentally, as with Jon Madof's Rashanim. These folks get around! I can't believe how many CDs are crying out for attention and didn't get any today. Stay tuned. I'll try to do this again, real soon now. I have to. The pile fell over last week. Everything is confused, and until I get some reviews written and some CDs put away, I've lost use of my favorite reading chair. When I was in the former Leningrad years ago, I remember browsing the street stands for cassettes of incredible local bands. Good street music is always found in lousy, crowded marketplaces, and it comes on poorly recording cassettes. I am writing to you because I would like to inform you that we just released the CD called "Nedudai" by SHANI BEN-CANA. This is wonderful record of young talented musician who lives in Safed, Israel.